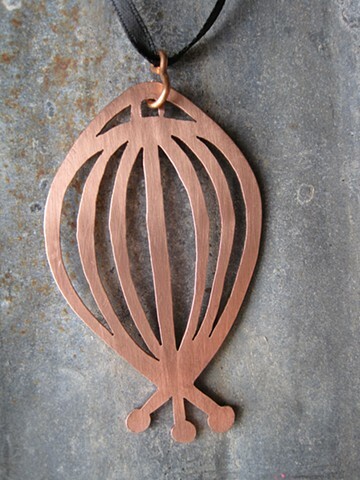 This copper pendant is handcrafted and meticulously cut out with a jewelers saw to achieve intricate details. Each piece is unique. Most are crafted when an order has been place. Some are on hand. Over time the shine of the copper will patina and darken with excess touching and frequently showing it off to the on looker with admiration. Each piece is cut from either 18 or 20 gauge copper sheet metal. All pendants are designed and hand made by me.